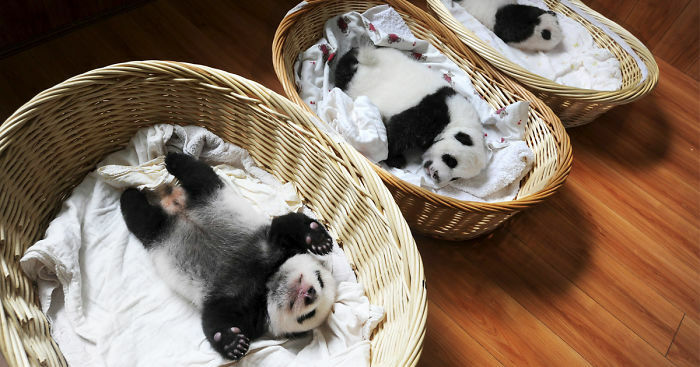 These baby pandas are a cause to celebrate! 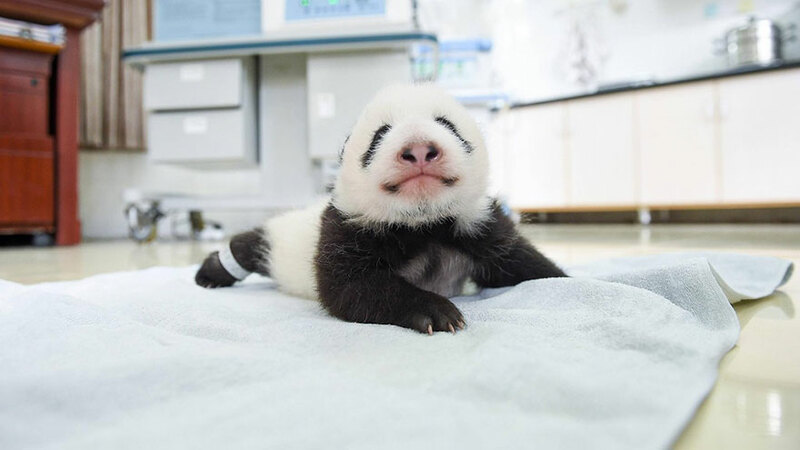 Ten pandas were born this year at the Ya’an Bifengxia Giant Panda Breeding Center, and this past Friday, they made their debut public appearance. 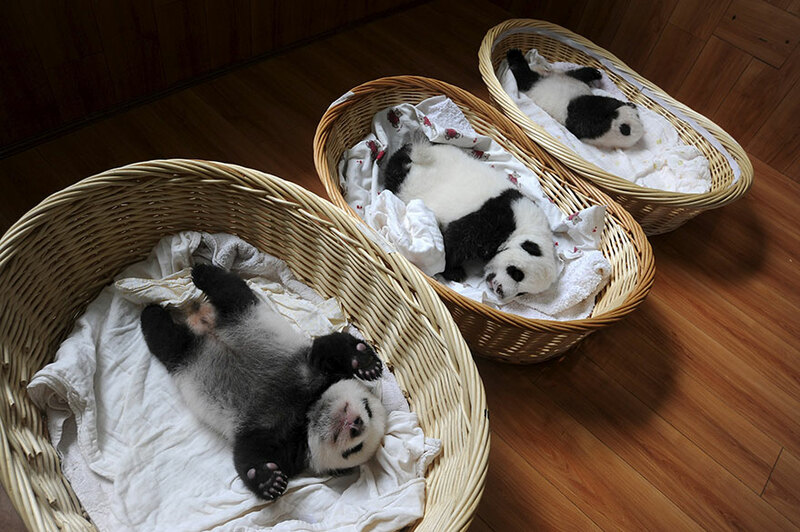 The pandas range in age from two weeks to two months old. 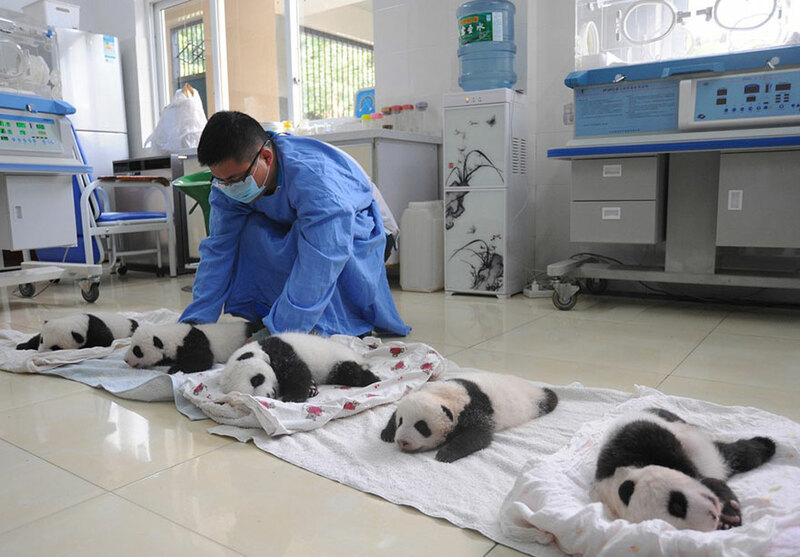 The deputy minister of Animal Management at the China Conservation and Research Centre, Luo Bo, reports that there has been a healthy boom in the birth of panda cubs, especially the number of twin cubs, this year. Giant panda births are celebrated because females are able to breed for only 2-3 days a year, and they only give birth to one cub every two years. Around 75% of the world’s giant pandas live in Sichuan province, with the Chengdu Research Base being one of the primary conservation sites. 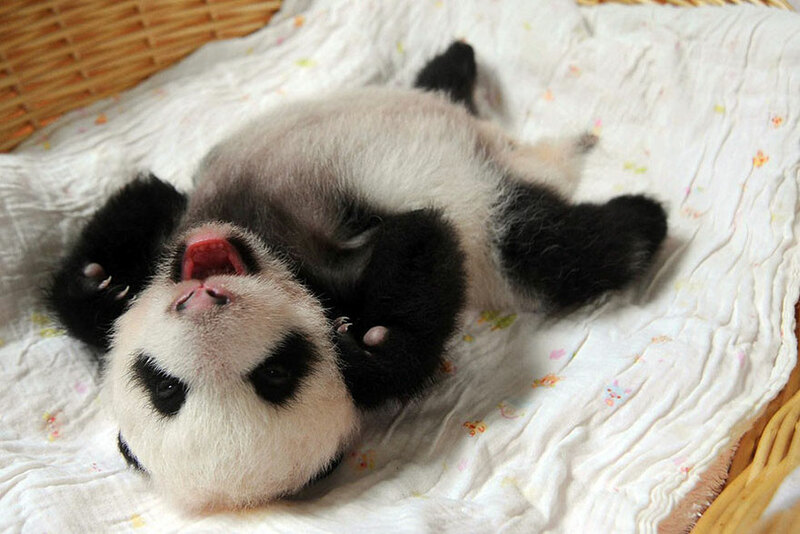 If you’d like to see some of our other posts about baby pandas, click here. 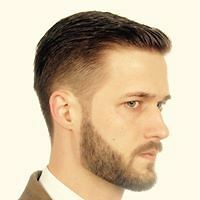 so, how can I get a job over there? This so amazing....absolutely love pandas.